I read this concept online at one point in time. I don't remember where it's from. It's so accurate I thought it was worth making a post about it. If anyone remembers the source, please let me know. The concept is that the person suffering is the center. They can complain to anyone outside their circle of the bullseye. The next circle are those closest to that person. They can complain to everyone but the person in the center circle. It gets larger as the social network of people increase. For instance, someone in their church should not complain to an immediate family member that the suffering of the person in the center is so much they can't stand it. That person can complain to those outside their circle, but no one closer to the suffering. I used this idea when my mother was in the hospital in August. I was terrified. I felt justified in anyone I let know how scared I was, etc. I never breathed a word to my mother how terrified I was because of her health. I was positive and upbeat around her. It sounds like common sense, but it is not. Because other people complained to her about her suffering and how it bothered them, she thought I didn't care. 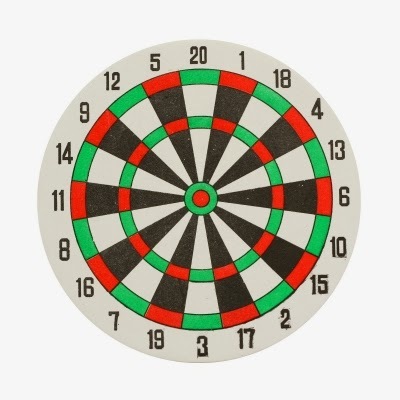 The night my mother died, there were various "circles" of the bullseye in our living room. The paramedics comforted me through tears. I saw their own pain of losing a friend and co-worker. I have no doubt they cried once they left the house, but were strong for me. When I arrived home (I was at church), a friend drove me home. He never met my mother, and he was a rock for everyone. My boyfriend wanted to protect me from what happened. There were others there to comfort my boyfriend, but I was in a circle closer to my mother than my boyfriend, although he was in a ring just outside me. In the last few months my mother became close with my boyfriend. I am not saying you need to treat the suffering and grieving with kid gloves, but please do remember the circles. Be strong for those in the inner circles. Be someone they can turn to instead of you turning to them in your pain and grief. Everyone handles grief and suffering differently. Just because someone appears stoic and like it doesn't bother them, that doesn't mean they aren't silently shedding tears when no one is around. It doesn't mean there isn't pure panic at times in the middle of the night. Just because they appear to be doing okay, don't assume that is really the case. Ask what you can do. Be willing to help. Maybe even offer to do things. Someone called the day after my mother died and offered to clean our house. I didn't get the message until later, but many times offering something you can do is more appreciated than you can imagine.